Not your average deck of cards….each card in this unique deck (Art in Hand, The U.S.A. Project) is designed by an artist from each state as well as D.C., Guam, the U.S. Virgin Islands, and Puerto Rico. The U.S.A. deck is printed in the U.S.A.
I’m so proud to have been chosen as the artist for the state of Florida. I painted a Flamingo named “Zelda” for this deck of cards. She will be the 2 of clubs. That is her there in the photo used to promote the cards. This is a wonderful project that helps to promote artists locally and nationally. Their current city decks, The Charlotte NC Project, The Portland OR Project, and The Washington DC Project decks are proving to be an overwhelming success with artists, consumers and local retailers. 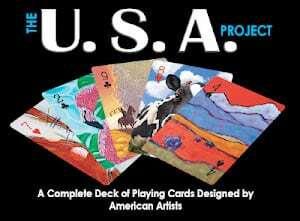 And now with the launch of this latest deck, the United States Project deck, they will be able to ensure their artists will reach their widest audience ever. I would love to see a South Florida Deck or a Broward County Deck. We have such dedicated talent in Broward County. If you are a local retailer interested in selling this deck, send me an email and I will connect you with the Publisher. We operate the retail stores for 75+ cultural venues throughout North America. 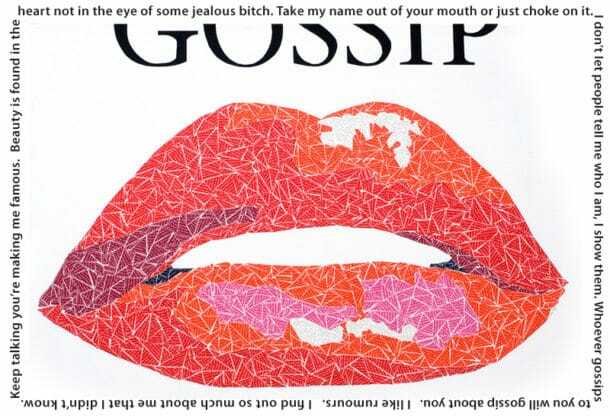 I am very interested in the USA Project Cards for the Smithsonian American Art Museum, and a variety of other venues. The individual decks for specific cities would also work. I would like to get the name of the Publisher in order to get the process started. Thanks in advance.